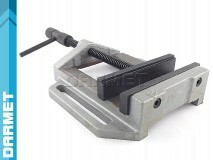 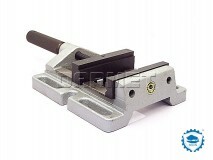 Drill press vises are used for light workshop work. 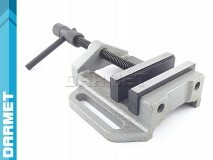 They are usually mounted on drill racks or on workbenches of column drills. 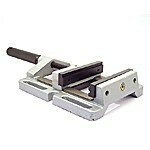 We distinguish two methods of attachment: eccentric or quick clamping jaws. 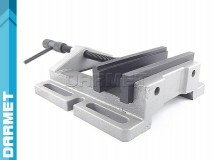 They are often equipped with jaw inserts with a V groove so that you can clamp the object with a round cross-section. 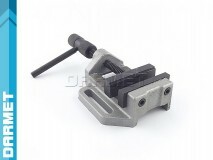 They are characterized by a low profile of the body.